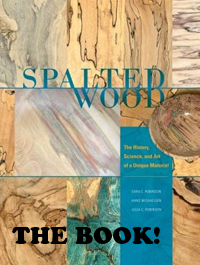 Spalted turning blanks (bowl and pen) are available for purchase through Oregon State University. Below is a list of what is currently available, and what is ‘cooking’ so you can plan your shopping accordingly. Wood is available for pick up only. To schedule a day to come by and see all the goodies, please e-mail me. Note – these are research pieces, and awesomeness of spalt is not guaranteed. Prices are $10 per piece, regardless of size. Nothing available currently, but check back soon!